If you want to experience one of the hottest midsize sedans on the market, be sure to stop by your trusted Briggs Subaru dealership. 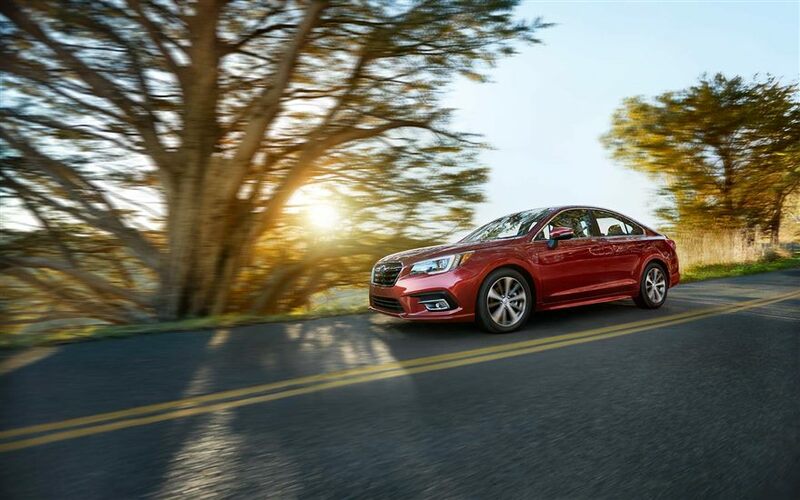 The new 2018 Subaru Legacy has impressed drivers from across the country. While even the base model comes loaded, the higher trim levels boast an even greater number of premium features. Top-notch crash protection makes the new Subaru Legacy an especially great choice for your family. For more information on scheduling a test drive, contact your local Subaru dealer serving Topeka Lawrence Kansas City. Let's find out why everyone has been talking about this new 2018 model. 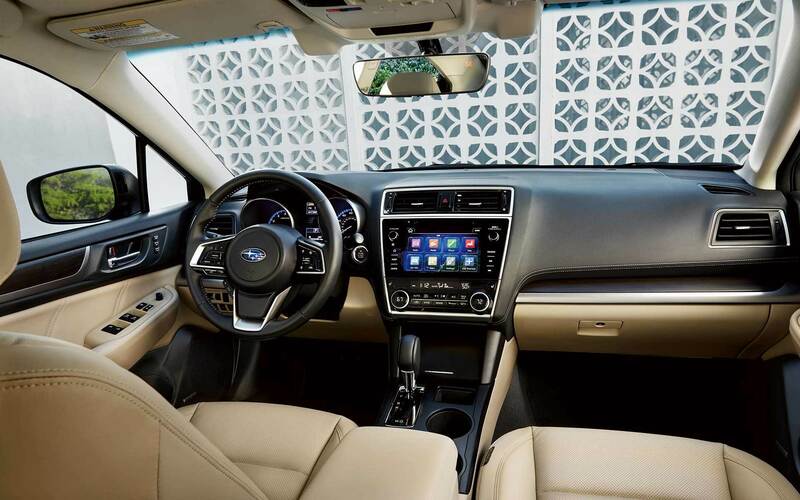 The 2018 Subaru Legacy near Kansas City is built to offer a high level of passenger comfort. Whether you are commuting to near Kansas City or taking a weekend road trip, everyone will be able to remain relaxed. A spacious backseat allows your family members to truly stretch out their legs. The available heated seats promise to keep you wrapped in warmth during the winter. Even the base model comes equipped with a number of goodies. Featuring a 6.5-inch display screen and smartphone integration, Subaru's standard Starlink infotainment system is a breeze to use. You will have easy access to all of your favorite apps. Bluetooth technology is yet another standard convenience. Satellite radio, a convenient USB port, and a backup camera all come standard as well. If you desire a more luxurious driving experience, your local dealer serving Topeka Lawrence Kansas City encourages you to check out the sedan's impressive list of options. The upgraded infotainment system boasts a larger touch-screen display, which delivers an outstanding performance. Meanwhile, navigation is a must for the folks who plan to do a lot of traveling. Although the standard audio system offers good sound quality, the high-powered Harman Kardon audio system has an especially strong punch. To be among the first people to sample the new 2018 Subaru Legacy near Kansas City, contact Briggs Subaru today! When it comes to exterior styling, the 2018 Subaru Legacy definitely stands out from the crowd. 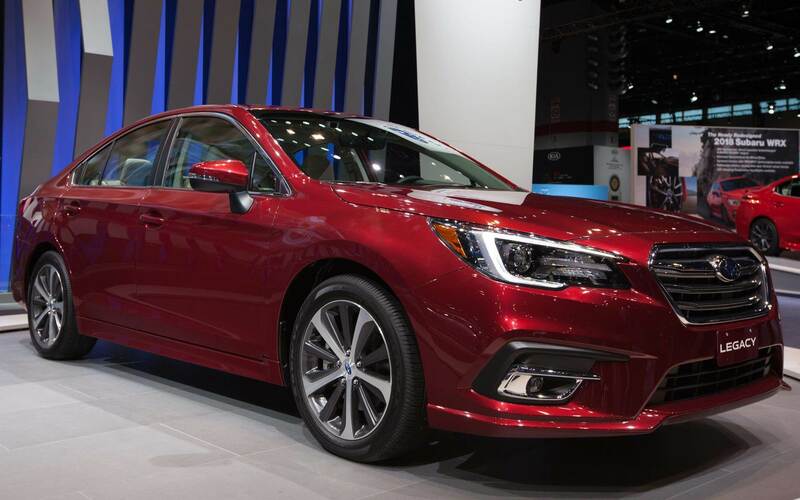 For the 2018 model year, Subaru decided to give the Legacy a refreshed appearance. Longtime Subaru fans will quickly notice the sedan's updated front and rear fascias. It now looks even sleeker than before. While you are cruising along near Kansas City, you can expect the new Legacy to command a lot of attention. Even if you decide to stick with the value-priced base model, you will be able to ride in style. However, there are a number of appearance upgrades offered by your local dealer serving Topeka Lawrence Kansas City. Flaunting LED fog lights and an upgraded set of 18-inch alloy wheels, the 2.5i Sport model has an especially powerful road presence. Special exterior trim also helps give the 2.5i Sport a more aggressive look. It has the stance of a legitimate sports sedan. LED Steering Responsive headlights are found on the upscale Legacy 3.6R Limited. Some of the available paint colors include Crimson Red Pearl, Magnetite Gray, Twilight Blue Metallic, and Crystal Black Silica. Stop by your local Subaru dealership to see the 2018 model in person! The 2018 Subaru Legacy near Kansas City has some key advantages over today's other midsize family sedans. For starters, the Legacy comes standard with a Symmetrical AWD system. It ensures outstanding traction in all driving environments. When the winter weather begins to take its toll, you will certainly appreciate the extra grip. You will also grow to love the Legacy's exceptional ride quality. Not only does the new Legacy excel as a highway cruiser, but it also handles great on twisty roads. A re-tuned suspension system helps ensure a great balance of comfort and sportiness. The 2.5i Sport's performance tires further enhance the Legacy's ability to hug the pavement. Nothing beats being able to have fun without making any sacrifices. During your test drive, you will immediately notice the Legacy's improved responsiveness on the street. The new Legacy near Kansas City has two great engines to choose from. For the drivers who desire the additional fuel savings, Subaru offers an efficient four-cylinder engine. It is rated to produce a healthy 175 horsepower and 174 pound-feet of torque. A continuous variable transmission helps make the Legacy a more entertaining daily-driver. If you desire a stronger punch under the hood, step up to the muscular V-6 engine. Subaru tweaked it to produce a stout 256 horsepower and 246 pound-feet of torque. As soon as you step on the accelerator, the powerful Legacy will come to life. Expect the new Subaru Legacy to earn another five-star safety rating. Subaru engineered this sedan to provide superior impact protection. An advanced communications system gives you around-the-clock emergency support. You can also take advantage of the Legacy's world-class safety innovations. It is the only sedan in the class that offers reverse automatic braking technology. When traveling on a packed interstate, the available blind-spot monitor will provide an additional sense of security. Some of the other safety innovations include adaptive cruise control, lane departure intervention, and rear cross-traffic alert. Briggs Subaru welcomes you to come take the refreshed Subaru Legacy for a test drive. Feel free to call your local Subaru dealer for more details. Come experience the new 2018 Subaru Legacy today!